All of the services are closely tied as intermodality is an important factor which appeals to clients who express a demand for complex logistics, while the concentration of the flow of goods on the hub generates a request for space for the logistics and value added services. With the completion of the connecting infrastructure in the first half of 2009, the rail terminal is now ready to interact with the territory, and above all with logistics operators. The rail freight yard is made up of two intermodal areas covering a total area of 70,000 square metres. In addition to this, there is a hardstand manoeuvring space and area for the storage of inactive container vehicles, the workshop where maintenance and repairs of intermodal transport units are carried out, with manoeuvring space and an area for washing and cleaning the vehicles. The Interporto Val Pescara SpA designed a technical-operational and technologically innovative organizational system for the start-up phase, a result of the rather intense planning stages of the project. Being fully aware of the increasingly sophisticated and ever-evolving demand, not only in terms of the importance of distribution cycles in the last mile of rail (KPIs), but also and above all in terms of reliability and accuracy of operations, the Interporto Val Pescara Spa is equipped with a modern container management system with GPS and WiFi integrated technology which guarantees a precise unit load tracking and monitoring service in real time. 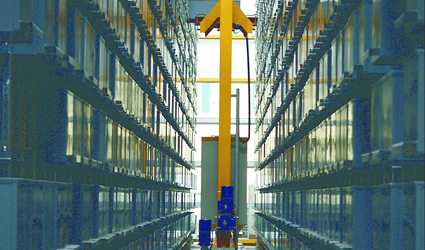 The logistics warehouses available from Intermodale srl cover a surface area of 86,500 sq.m. 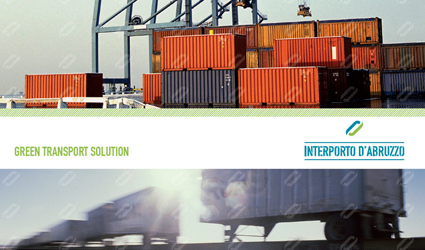 in line with international standards for modern logistics. The main technical features include an extensive structural grid (12x24), under-eaves height of 10.5m, loading bay on either side, wide manoeuvring area and proximity to major highways (A14/A25). The position in an enclosed logistics park provides a high degree of security guaranteed by a digital system of video surveillance, controlled accesses and a wide range of services which are important factors which characterise the space and make it more appealing. It should also be noted that the buildings can be customized according to the specific needs of the client, if necessary, creating specialised warehouses. 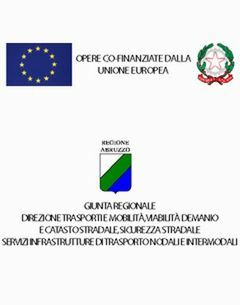 The Interporto, logistics district of Abruzzo, in addition to warehouses, offers a range of useful and necessary additional services for logistics providers. Commercial, banking, postal catering and accommodation services. Vehicle services ranging from the more generic such as fuel distribution and car washes, to the more sophisticated such as workshops for vehicle repairs and maintenance. Goods services which are the main concept of the interport - not only modal exchange, but the provision of advanced services to businesses in the form of finished products as well as raw materials and semi-finished products.